Mordian 7th Regiment: Necromunda - Kal Jerico painted! Just a quick hit this evening - With basically all of my big projects either complete or in varying states of sale (link to auctions), I decided to take a little time and start working through my backlog of Necromunda miniatures, including all the various Forge World hired guns that have been released so far, and a few throwback models from the mists of time! I went ahead and got the skin tones down on all ten models but then realized they weren't suitable for batch painting as they're all individuals with varying paint schemes, and to be honest they deserve a little more TLC than my usual "just crank 'em out" methods. So I figured I'd lead off with quite possibly my favorite GW model of all time, Kal Jerico! Stuck closely to the 'official' paint scheme, and pretty jazzed with how he turned out. Next up, his poxy partner Scabbs! Sweet paint job on a classic model! Congratulations on your results here. O man, right out of the artwork! Solid work mate. I appreciate it! Definitely trying to match up with the official art where possible! He looks great! I love how the greens turned out on the model. Really nice skin tones too. Keep up the great work! Good work on it, always loved the character. I do think they did him a disservice with the model posing though. Cheers, bud! 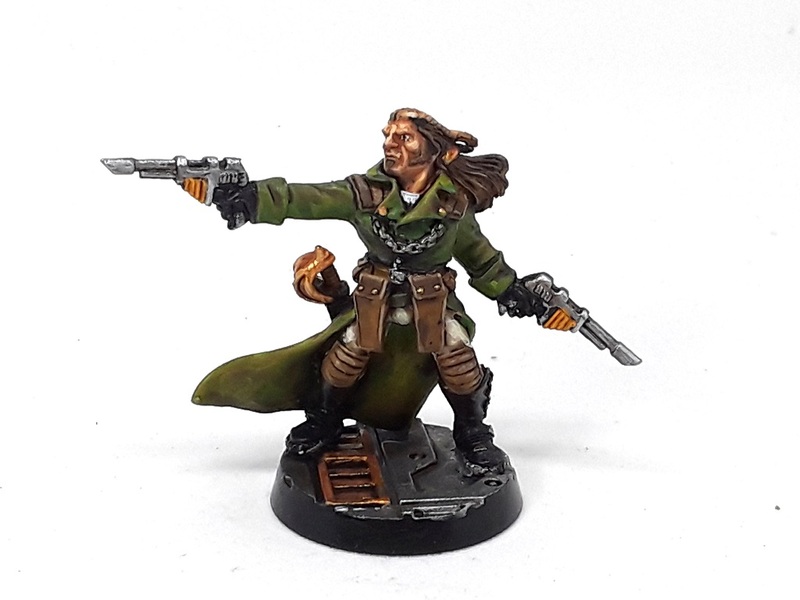 He was always my favorite of the Necromunda special characters! Very cool man.. it's a nice looking model and you are doing it justice!